Ctrax´s proprietary data logger is small, self-contained, autonomous device capable of measuring and storing critical metrics including CO²levels, O²levels, relative humidity and temperature. The data logger is placed in the container and switched on at the beginning of the shipping process, requiring no further intervention until the data is ready to be downloaded and analysed. The unit contains an autonomous 50 day power source and is capable of resisting the most challenging conditions. Ctrax´s proprietary technology has been developed by a group of electrical engineers with a wide experience of designing, integrating and calibrating sophisticated electronic and robotic devices. 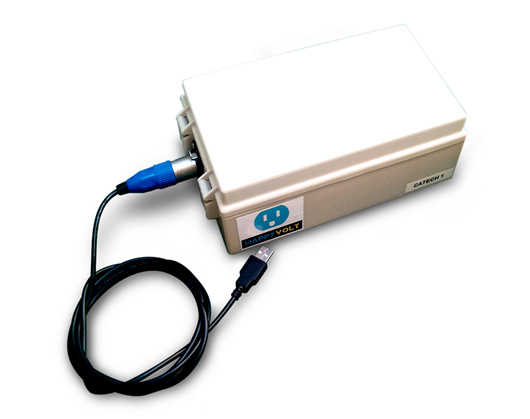 The data logger has been tested in laboratory conditions as well as in live sea trials. It is being constantly updated and improved based on user feedback and in order to incorporate the latest technology.